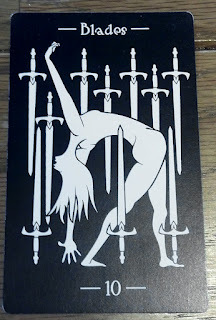 I am also a but fearful of the kind of...difficulties that the 10 of swords can represent. I have a lot of papers and presentations due in rather narrow timeslots later on in the semester. I am hoping to get my act together a bit more and get a head start on things but...have been having some trouble focusing and doing that and last time I had multiple long papers and presentations all due within the same week or week and a half it was...a less than fun experience shall we say. 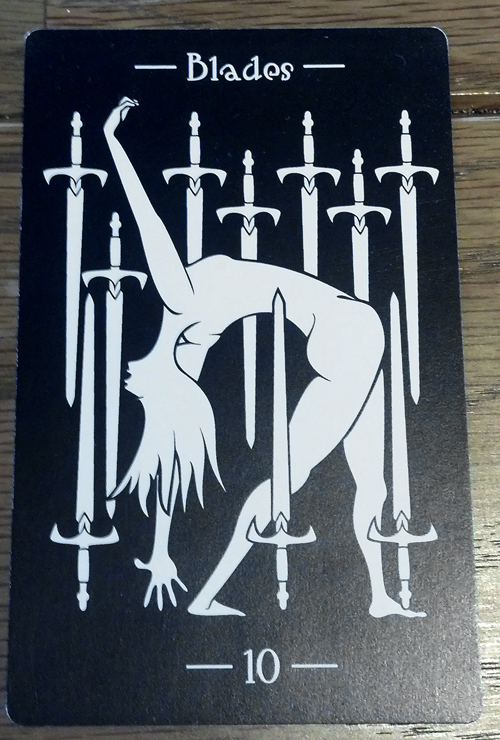 Perhaps this is a warning to me in that regard, something to help me get properly motivated. Procrastination does not lead to great things, on the whole.